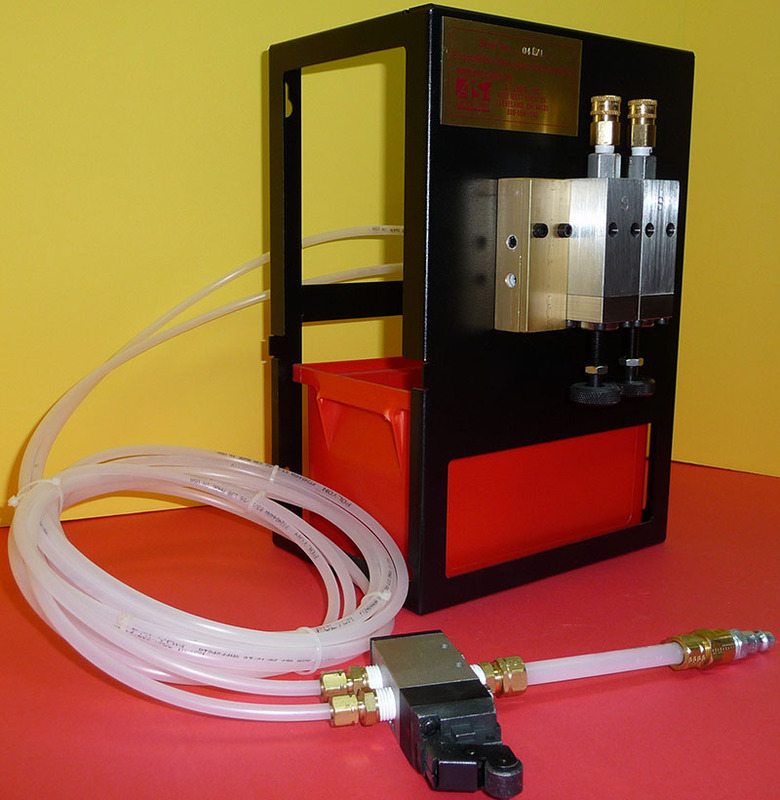 The EconoMizer™ Press Mount Lubrication System has a steel frame with keyholes designed to mounted on the press or a location near the press. 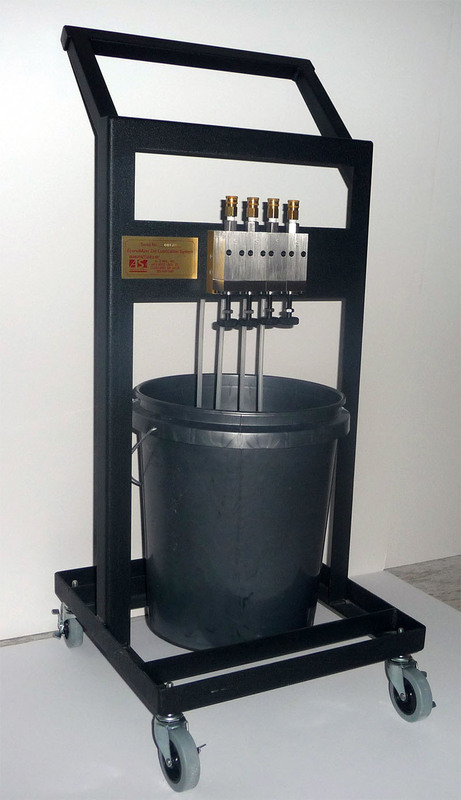 Due to its low capacity 1 ½ gallon reservoir it is used for tryout presses or applications that require less lubricant used during a normal shift. It is available from 1 to 4 individual high or low volume control stainless-steel pumps with Viton® O-Rings; Individual stainless-steel mesh filters on quick connect fittings; and a SMC® air valve with roller lever actuator or manual operation button. 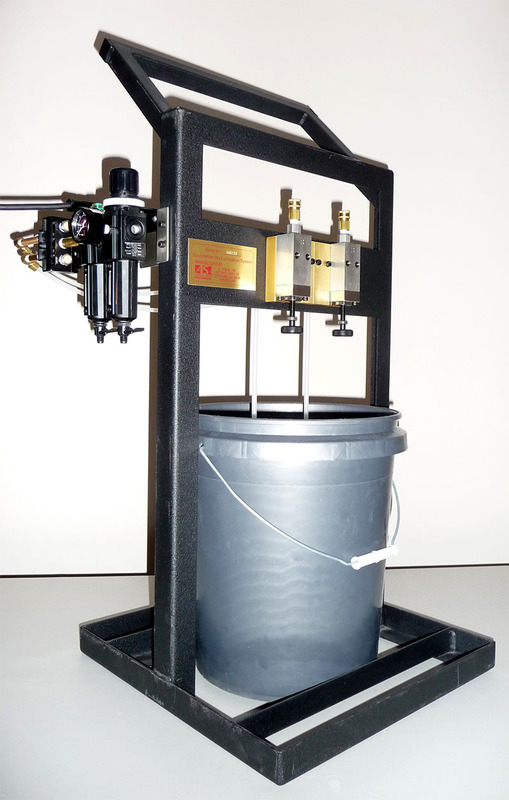 The EconoMizer™ Portable Lubrication System has a steel frame with bottom tray which holds a standard 5-gallon pail. Optional casters allow the system to be easily moved from press to press. It is available from 1 to 4 individual high or low volume control stainless-steel piston pumps with Viton® O-Rings; Individual stainless-steel mesh filters on quick connect fittings; and a SMC® brand air valve with roller lever actuator or manual operation button.